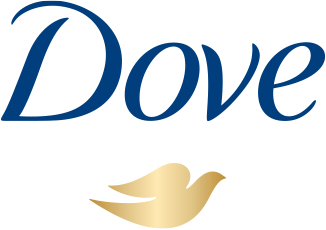 Including our ¼ moisturizers, Dove Invisible Solid Antiperspirant Fresh combines antiperspirant protection with outstanding underarm care. Don’t you just love the way the fresh, clear air smells and feels? Wouldn’t it be great if you could condense that freshness into an antiperspirant deodorant and start the day with it? That’s why we’ve created Dove Invisible Solid Antiperspirant, Fresh: a gentle antiperspirant deodorant stick that leaves you with a light fresh fragrance that keeps you protected from sweat for up to 24 hours. 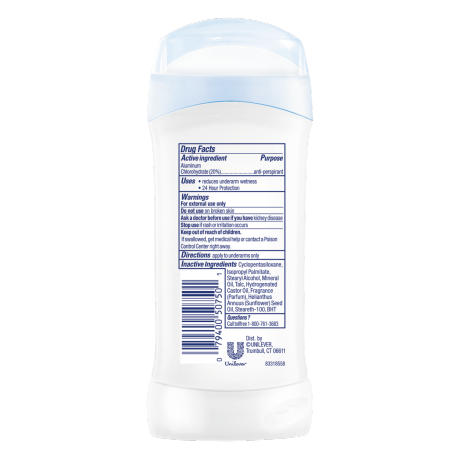 This Dove Invisible Solid antiperspirant deodorant has an alcohol (ethanol) free formula and contains ¼ moisturizers for great underarm care. After a few uses, you will notice that your underarm skin looks and feels softer and smoother. Dove Invisible Solid Antiperspirant, Fresh won’t leave your skin or clothes with white marks, either. 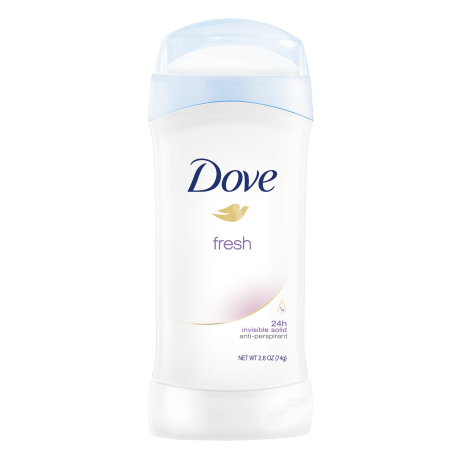 For a fresh, clean start to the morning, try this fresh-scented Dove Invisible Solid antiperspirant deodorant. To apply this Dove antiperspirant deodorant, swipe the antiperspirant deodorant stick up and down each underarm two or three times until an even layer has been applied. After a few uses, your underarm skin will look and feel softer and smoother and your clothes will also be protected from white marks.